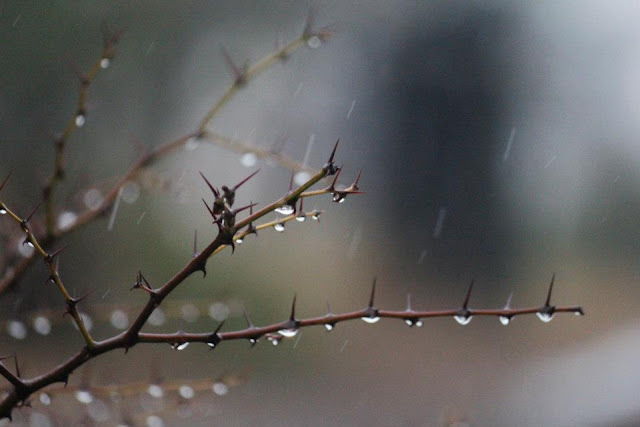 After months of drought, few experiences can match the sound and smell of falling rain – unless it is the exhilaration of being caught in it during a mid-morning walk on our smallholding. 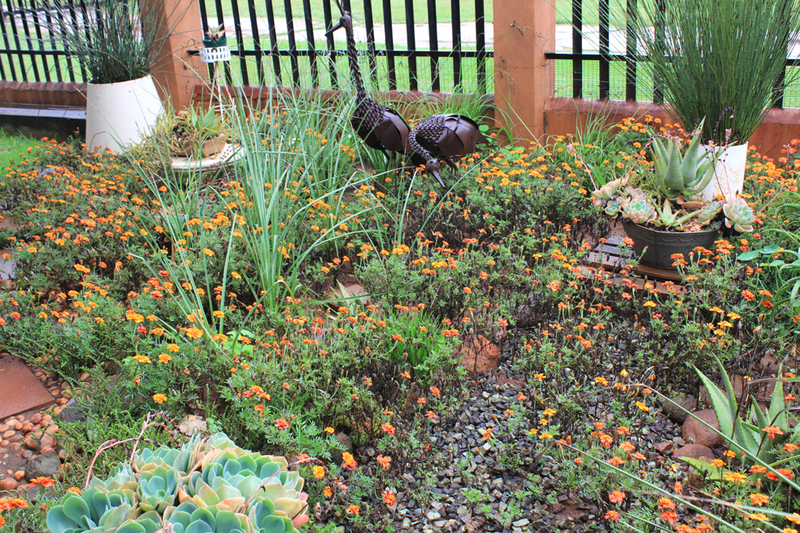 The past couple of weeks we've been blessed with lots of rain and all the plants are just totally jubilant! My rain gauge has been constantly over-flowing and its maximum ark is 100mm. My chooks are the only ones complaining, they've been stuck in the chicken run with access to the coop for days on end. Yesterday the Marigolds whispered how thankful they are for the rain. It's mid-summer and their display has been a bit stunted due to lack of water. 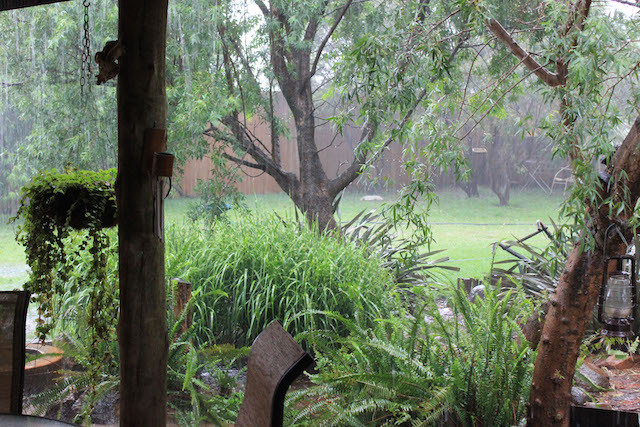 No matter how much I water the garden, there is no comparison to just a few millimeters of rain. ... and lose the umbrella! I can hear and smell your rain from here through your photos. 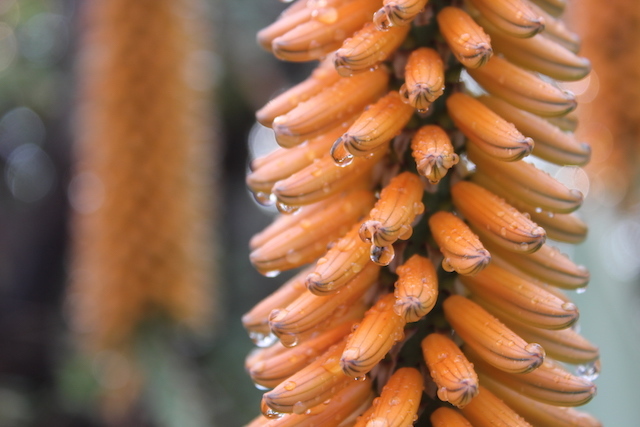 Do your Aloe ferox enjoy all the rain or do they prefer it a little drier? Hi Anony, thanks for the lovely coment! 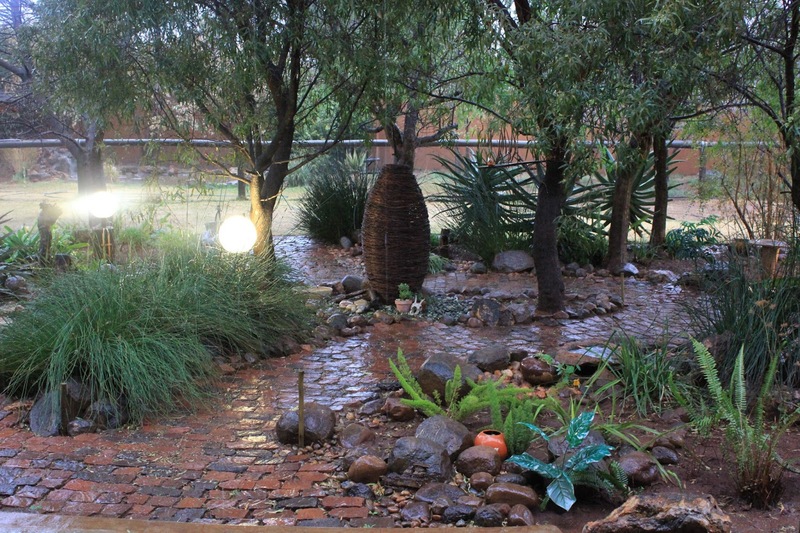 The aloes don't mind the rain at all provided they get enough sun. And Snoodles and all the other dustbin chicks are doing well! Snoodles is a big girl now and Mr. Brown has turned into the most lovely rooster! Will post an up-date.